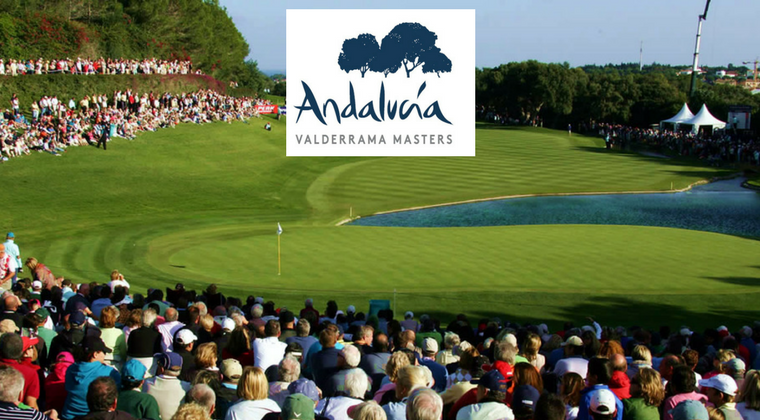 The famous Valderrama Golf Club in Sotogrande will host the 4th edition of the Andalucia Valderrama Masters this weekend (18th to 21st October 2018). For the second year running the tournament returns to the club famous for hosting the 1997 Ryder Cup. At the start of the year, we told you about the new project launched by the Costa del Sol Tourism Board where they offer visitors a unique perspective of our beautiful destination through the use of 360º images and videos. Many golfers still prefer to walk a golf course rather than whiz around in a buggy. Here on the Costa del Sol we are fortunate to have a wonderful and varied choice of golf courses to play. Some require a buggy as they are located in and around the hills overlooking the coast, others are walking-friendly and are perfect for those of you who prefer to carry (or pull) your golf bag around 18 holes. Golf season is in full swing (excuse the pun) here on the Costa del Sol and at Sunset Beach Club, we’re fortunate to have a steady stream of golfers booked in to our hotel. That being said, we have to keep promoting our wonderful destination so this Thursday, Annemie – from our Golf Desk – will be flying up to Edinburgh for this year’s Scottish Golf Show. Golf is a fun and relaxing sport; however, an amazing new invention could revolutionise the sport, especially amongst younger players. 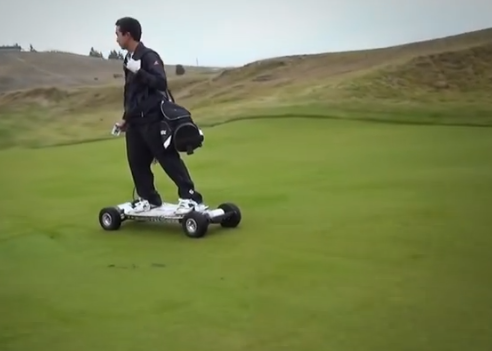 Introducing the new GolfBoard, a fun and speedy new way to get around the golf course! Hailed as the most innovative creation for the golf industry since the introduction of the softspike, the new GolfBoard lets you ‘surf’ the fairways (literally) of your favourite golf course. 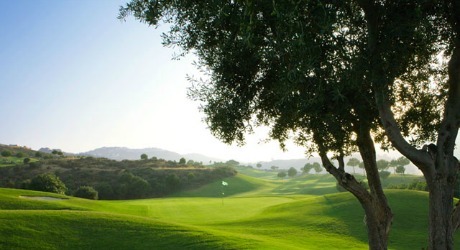 Golf Holidays in Spain: Unbeatable Last Minute Offer! It’s not often that we post offers here on the Sunset Beach Club Blog but this one is so good that we just had to write about it! With the golf season on the Costa del Sol in full swing (excuse the pun) we’ve teamed up with our sister resort, La Cala Golf, to put together an unbeatable last minute offer for the rest of this month of December and for January 2013. 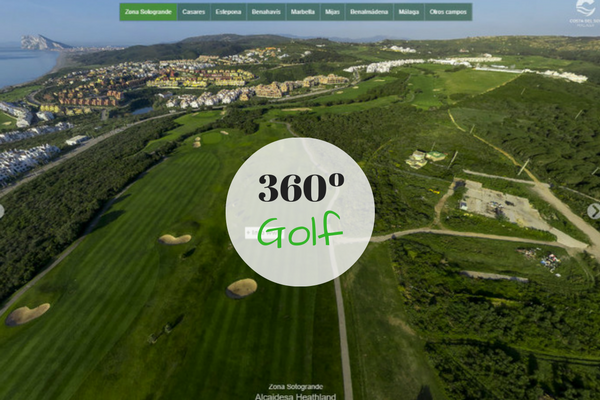 For those of you who are unfamiliar with La Cala Golf , this fabulous resort boasts three 18 hole championship golf courses (Campo America, Campo Asia and Campo Europa), a large grass driving range and practice facilities, David Leadbetter Academy and an Executive par 3 course. These fantastic facilities together with an enviable location make La Cala a golfers paradise. The Costa del Sol is famous for its golf courses; with over 60 different locations to choose from, golfers who choose this sunny destination for their golf break are literally spoilt for choice. Price points vary depending on the course; there are courses charging over €100 and there are courses for half that price. 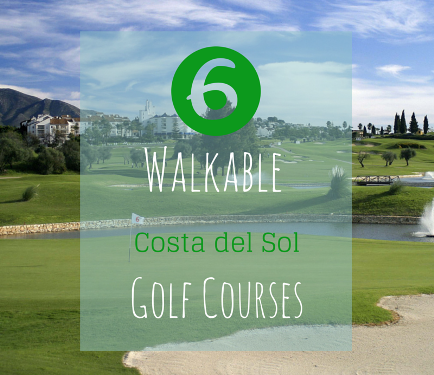 In this post we highlight 9 golf courses offering green fees for under €55. As you will see below, these low prices are based on low season; however, they are still great value for money! (Please note that these prices are based on the offers we have available at the Sunset Beach Club Golf and Leisure Desk). Our extensive facilities and central location (we’re just 20 minutes from Málaga airport) make us popular choice for golfers looking for a great value golf holiday on the Costa del Sol. We offer comfortable 1 bedroom apartment accommodation, a full English/irish buffet breakfast for an energy boosting start to the day, a dedicated golf desk to help you with tee time bookings and transfers and a – highly popular – daily happy hour in our Panorama Bar. 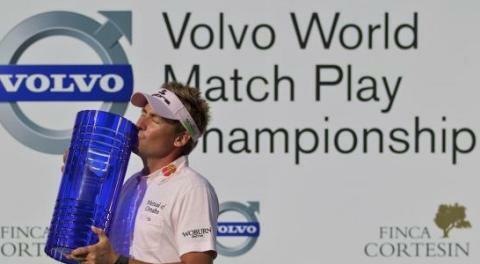 The Volvo World Match Play Championship heads back to the spectacular Finca Cortesin course in Casares for its 2012 edition. This year half of the 24 man field will include players who play in the US PGA Tour (Apparently this is the first time this has happened). 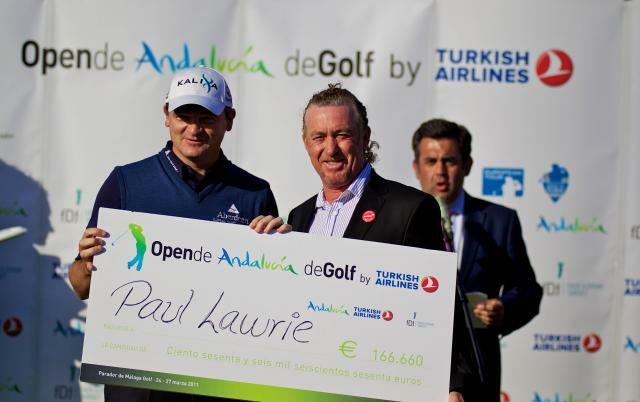 The Andalucia Open 2012 – a European PGA Tour event – will be heading back to Aloha Golf, one of the Costa del Sol’s most long established and prestigious golf courses. From the 15th to 18th March, a strong field with some of the European Tour’s top golfers will compete for the €1 million prize pot!